A Kentucky grandmother’s comments about her grandson have gone viral after she ragged on him via a store comment card calling him “rude”. She also said her grandson, Tyler, dressed in all black which “really disturbs” her and went on to lament that Tyler wasn’t more like the young shop assistant who helped her during her visit. The elderly grandma had gone to to her local shop for some yogurt-covered cranberries because like all of us, she had a late night craving. 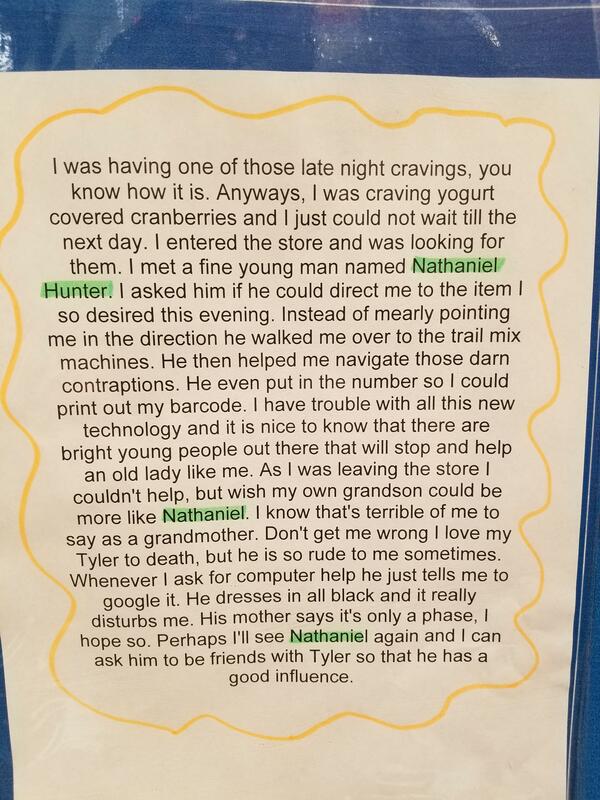 During her midnight jaunt, she encountered store employee Nathaniel Hunter whom she described as a “fine young man”. He helped her work out the “darned contraption” also known as the trail mix machine so she could get her hands on those yogurt-covered cranberries. “Instead of mearly (sic) pointing me in the direction he walked me over to the trail mix machines,” she wrote. While simultaneously praising Nathaniel, she also took the opportunity to shame her grandson. “As I was leaving the store I couldn’t help but wish my own grandson could be more like Nathaniel,” she continued on the comment card. 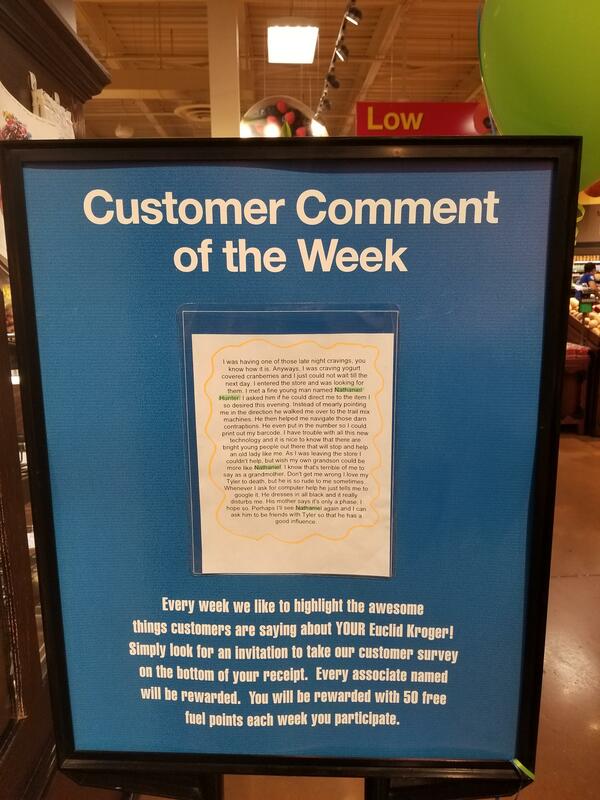 The grandmother’s comment of the week has been proudly displayed at the front entrance of the store for two weeks running. It has yet to be revealed whether or not Tyler and Nathaniel have become friends.